On our sister site, LeenaBee Photography, we did a Columbus Parks Tour blog post that was three years in the making! We highlighted our favorite parks and places to go as a family and with the kids. Check it out HERE! 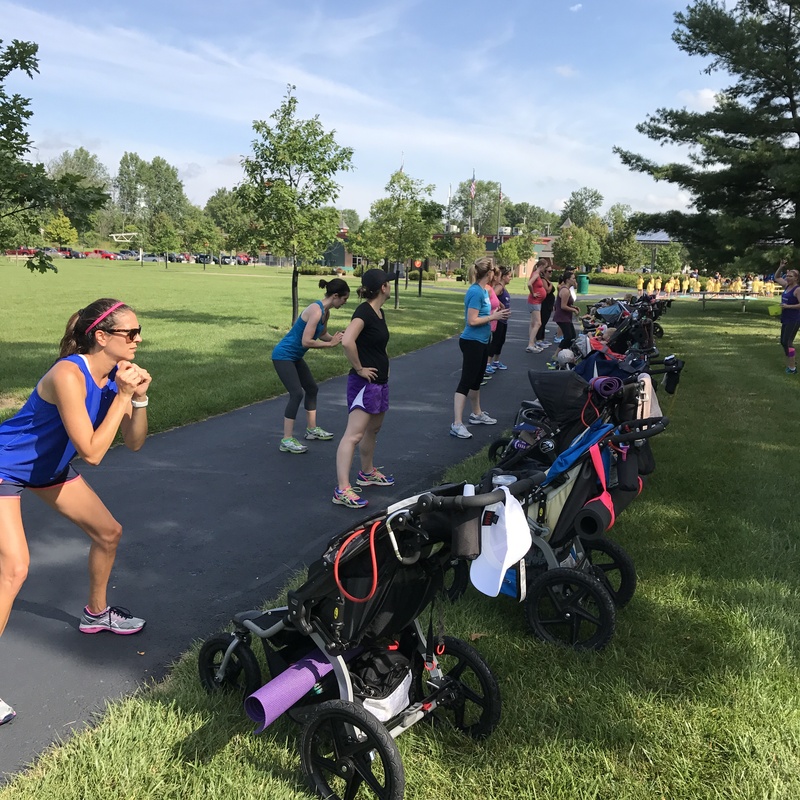 Overview: Our running group typically starts in Historic Dublin and runs north up Dublin Rd towards Muirfield/Shawnee Hills (towards Wendy’s). 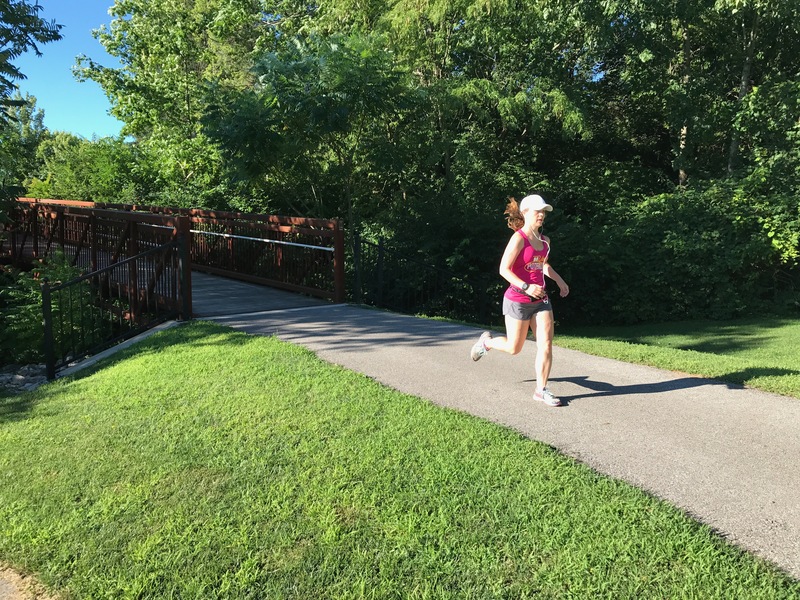 This out & back course is offers eight miles and you can easily tack on additional mileage by adding in Emerald Parkway, Indian Run Falls, Amberleigh or jogging over through the new Bridge Park area. The route is also bike friendly, as its entirely paved. 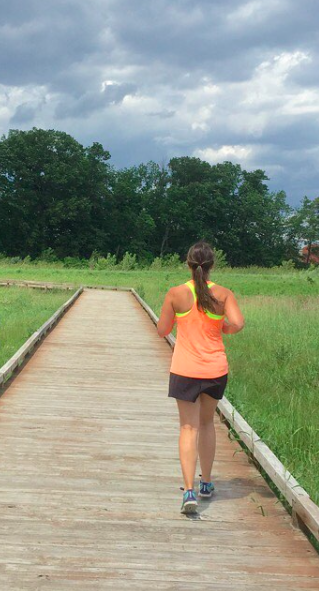 The rolling hills will give you a workout! The mileage really is endless as we’ve even trained for marathons on these paths & sidestreets, getting in a 20 miler. 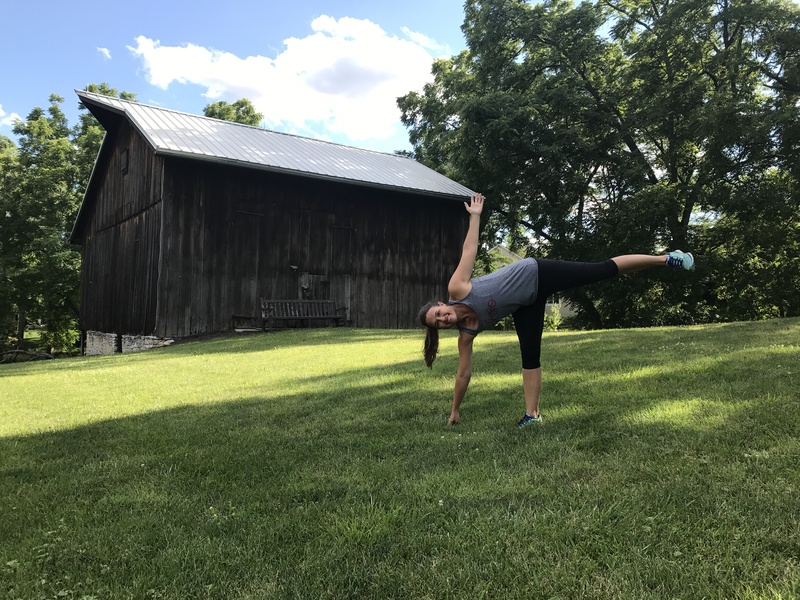 Historic Dublin & the Karrer Barn have a lot of picturesque spots to #StopDropandYoga or get in a nice post-run stretch. Kiwanis Riverway park has some pretty views, a steep hill and some stairs that could be great for hill work days. Indian Run Falls has some hiking paths through the beautiful falls. The park has two main entrances, one off Shawan Falls & the other near the Dublin library. Leave the strollers and bikes aside for this portion, as there are dirt paths and stairs not conducive to wheels! Amberleigh Park is about halfway and has a unique playground, stairs down to the river and a short hiking trail through the woods. It also has seasonal bathrooms in the shelter house area. Two sets of stairs make this an excellent spot for stadium drills, an alternate to hill work. Overview: 6+ mile trail on out & back course (could continue further!) – we start in Old Dublin, head west towards the “dancing bunnies” then back. 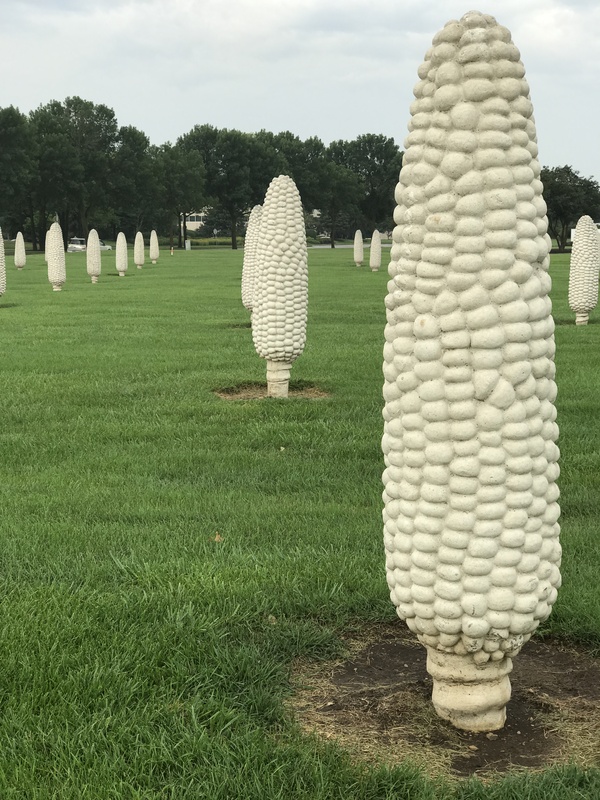 The Field of Corn, a great place for some #stopdropandyoga. Balgrafin Park has a water fountain for both humans & doggies ~ a good spot to take a stretch or even let the kids out of the bike trailer to play. 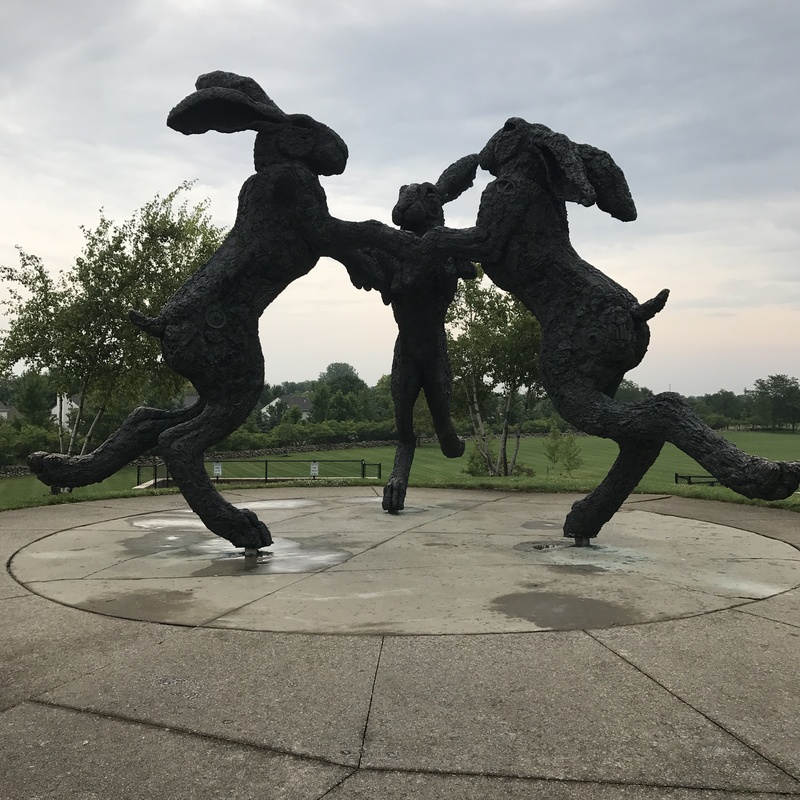 Visit the bunny sculptures and hop in the fountains to cool down! Other things to note: no restrooms along this route (that we know of), but could head up to Tuttle and find a restaurant or gas station if you’re desperate! Overview: this park has two entrances and trails that connect. We have run many races through here, including the Dublin Alumni 5k, Flying Feather Four Miler and the Emerald City races. Overview: We love the hills here. But we also hate the hills here! We have done a few training runs and races here, the inclines will give you a run for your money! This is a beautiful, scenic way to spend an afternoon hiking, walking or if you dare, running. Overview: So many possibilities on this trail! North end trail head near Hills Market, called Worthington Hills Park. Another trail entry near the Worthington Farmer’s Market. 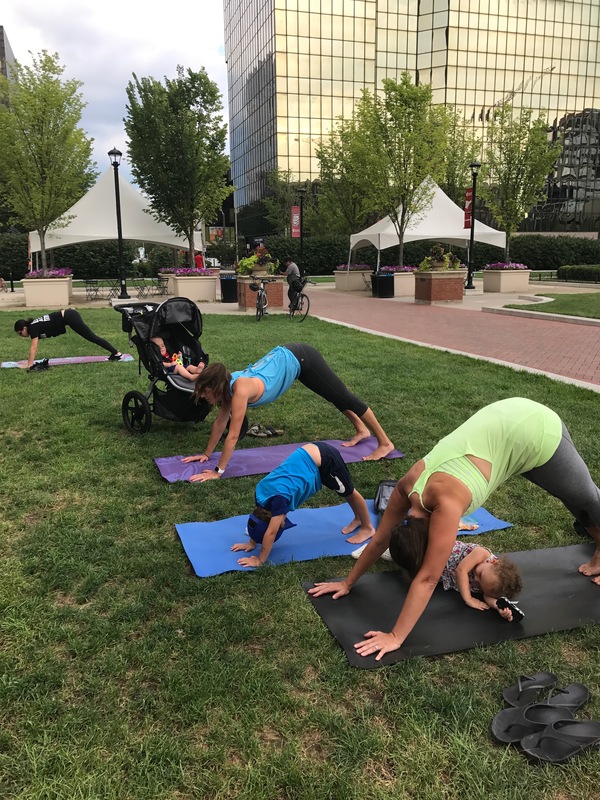 In the summer, enjoy a RUN+YOGA… Yoga on the Green is compliments of Native Juice! Olentangy Park near the Worthington Mall is another popular trail head, the one we’ll likely be using while the construction is going on. 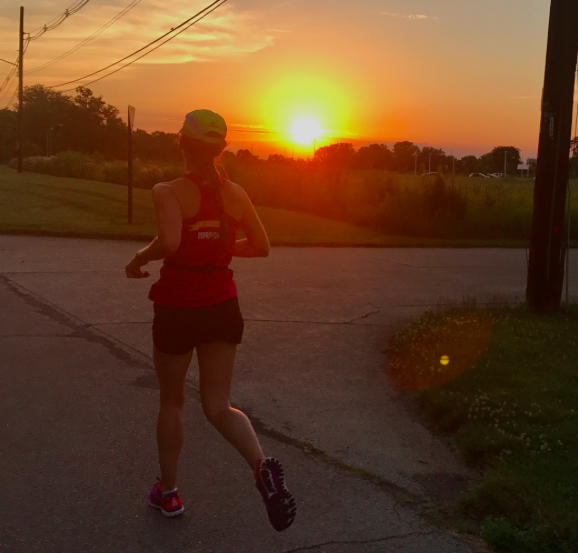 Other things to note: There are a few pitstops (water and portapot at Antrim, water at the Olentangy Park trail head) but bring your own water, just in case. Visit their site for details and routes. Overview: Many possibilities and trail heads on this course, with several parks & green spaces along the route. We have gotten in 10+ miles around these areas & paths! Northern point is Heritage Dog Park, a beautiful place to watch the sunset! 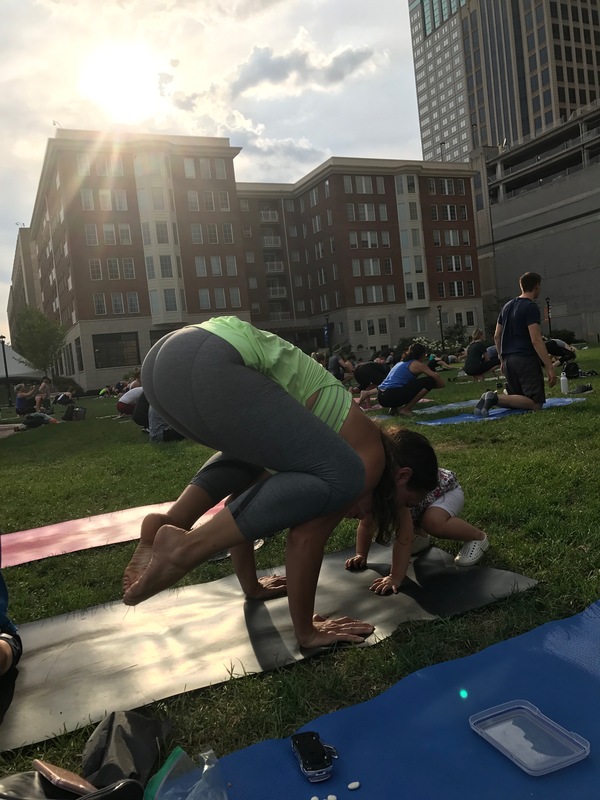 Overview: Cbus Commons to Schiller Park and back! We do this three mile run 1-2 times a year before Yoga at the Commons. Scenic spots along the way: Winans German Village is nearby if you need a coffee and a restroom stop. Columbus Commons has restrooms open seasonally, along with Jeni’s Ice Cream, yum! 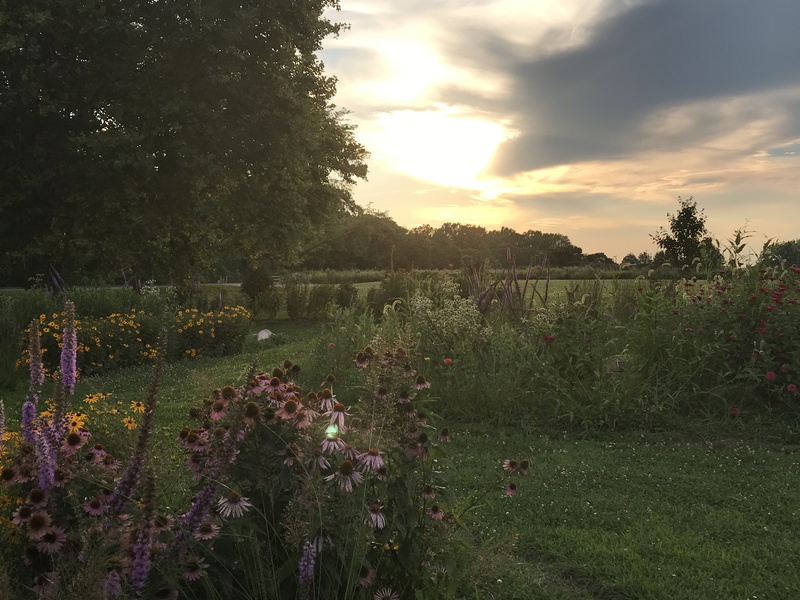 Scenic spots along the way: Absolutely GORGEOUS at sunset, several nearby green parks with variety of paths & land/hardscapes including Bicentennial Park, Genoa Park & Scioto Audubon Metro Park. We’ve done anywhere from a 20 minute run up to five miles, but could easily get more mileage if needed. 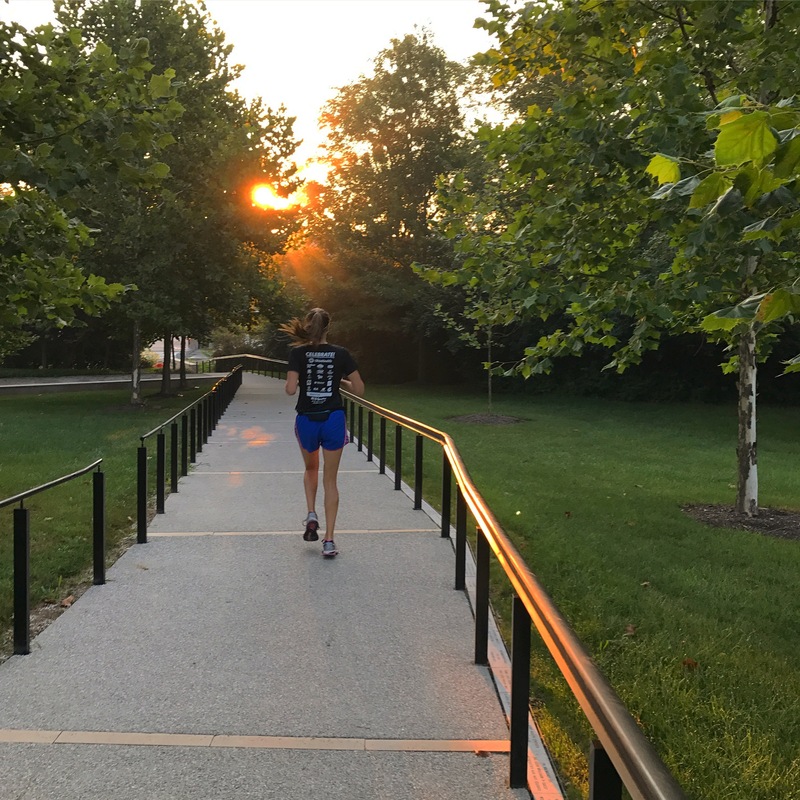 We ran this route prior to lululemon’s POGA summer series, as well as for many races and our 2018 Cap City Kickoff Run from Land Grant Brewing Co! Good for: running, walking, HIIT! 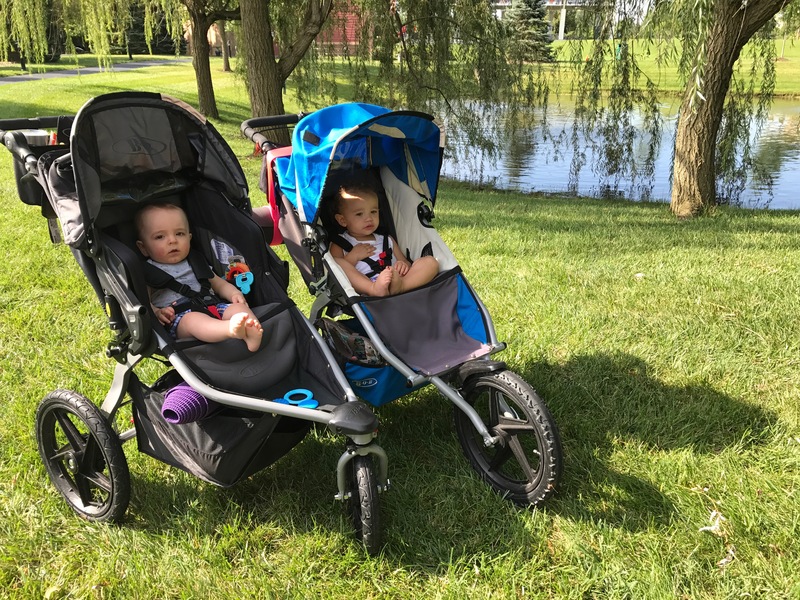 Overview: We have met here a few times for play dates, but more recently for the Northwest STROLLER STRIDES class and really enjoy it! 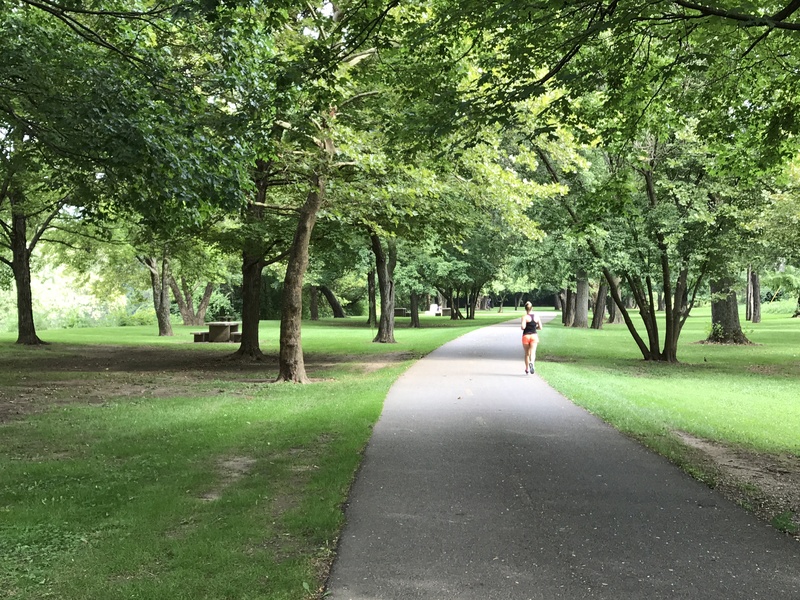 There is a small loop bike/run path and green space for yoga or some stroller workouts. There is a splash pad and playground on site for the littles to play before, during or after your workout. 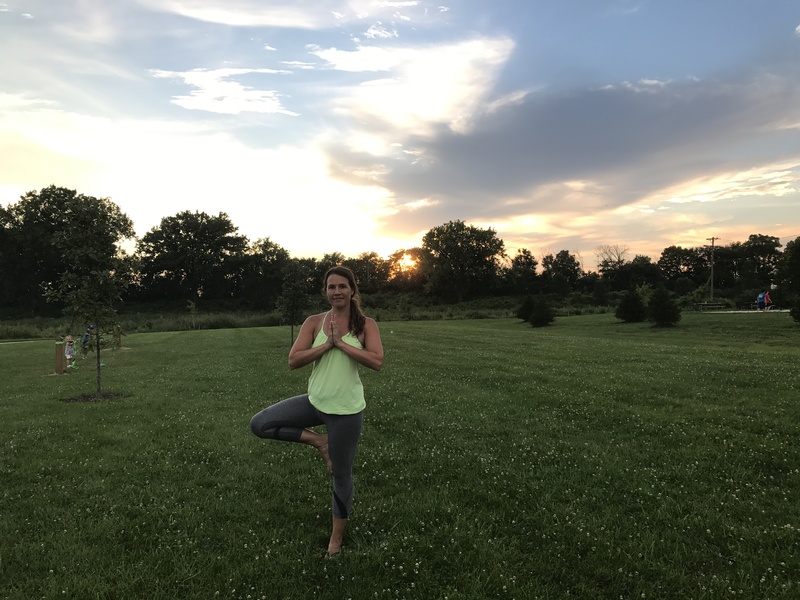 Stay after and visit the nearby Olentangy Indian Caves! Overview: We’ve met here for a 5K, a few short runs, trail runs (a couple off route hills) and some family playtime. This is the main Columbus Metro Park Headquarters so while you’re at it, why not conquer the Columbus Passport Program! There is a regular playground, a natural playground, a river for canoeing, a lake for fishing and nice, clean bathrooms! If you have favorites, suggestions or questions, email us at LivingFitColumbus@gmail.com – we’d love to hear from you! 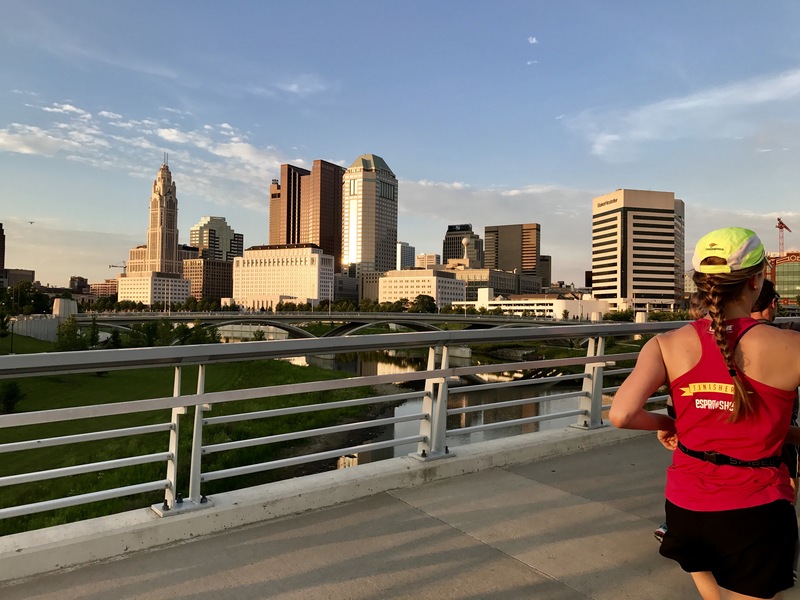 We hope to continue our journey with your suggestions, as well as visit some of the routes on this FITT Columbus post –> The Best Running Routes in Columbus. Those are some amazing photos of Columbus. I have never been there before but what a beautiful place!